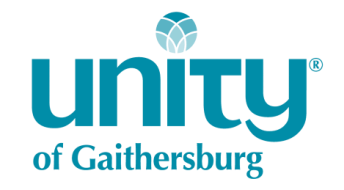 Unity of Gaithersburg's Music Arts Ministry provides avenues for creative expression in the church community. These experiences serve to welcome, uplift and inspire both the inner and outer lives of all participating. The music program consists of diverse choral groups as well as various soloists, pianists and other accomplished musicians. Each week you can expect a quality musical experience including gospel style, jazz, pop, New Thought and African drumming music. Actors and readers are invited to join Unity of Gaithersburg’s own acting group. Our activities range from scripture readings, skits, and scenes to help illustrate the Sunday lessons to the fun of supplying humor and a story line for annual spring Cabaret. Love to sing? Everyone is welcome!